Orthodontics is that branch of dentistry that deals with the diagnosis, prevention and correction of malpositioned teeth and jaws. In other words, orthodontics correct crooked teeth. Teeth that are well aligned function better and are easier to maintain oral hygiene. In addition, not only do they bring a pleasing smile, but also improve one’s confidence in social settings. Fortunately, we offer these services to our patients. Orthodontics can be fixed or removable. Removable appliances are used in children before the age of puberty. This takes the advantage of growth potential to correct any jaw malposition. Fixed appliance can also be used in children as well as adults. Different options are available currently including tranditional brackets, invisible brackets (more esthetic), lingual (tongue side) brackets or Invisalign. 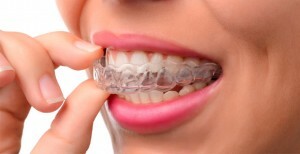 Invisalign is very popular nowadays! It consists of exchanging transparent dental trays every two weeks. These trays will slowly change teeth position. This option is the most preferred treatment as it is barely noticeable to the naked eye. In addition, it is very hygienic as you can remove the tray for easy to clean. Do these signs and symptoms sound familiar to you? 1. How long does orthodontic treatment take to complete? The length of treatment varies depending on the level of severity. Thus, the first and most important step is to have a consultation with our orthodontist. They will diagnose all orthodotontic problems, determine a treatment plan and give you an estimate amount of time that the treatment will take to complete. Movement of teeth is achieved through application of forces (tension/pressure) that develop a series of reactions on the bone that allow the teeth to move. 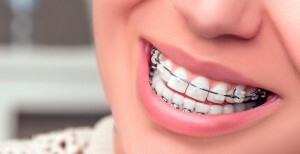 This means that each time your braces get activated, you will experience a slight and temporary discomfort. 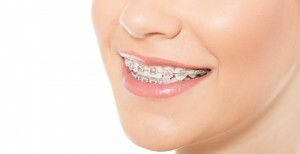 Getting accustomed to braces is generally easy.